The average cost of memory care in Carbon County is $3,960 per month. This is lower than the national median of $4,650. Cheaper nearby regions include Northampton County with an average starting cost of $3,500. Caring.com has helped thousands of families find high-quality senior care. To speak with one of our Family Advisors about memory care options and costs in Carbon County, call (855) 863-8283. Located in the coal mining area of northeast Pennsylvania, Carbon County's population is 63,853 people, and around 12,000 are age 65 or older. Many of these seniors are living with some type of dementia and may require the attention of an Alzheimer's Special Care Unit (SCU), as they're known in Pennsylvania. The Office of Long-Term Living is responsible for licensing and regulating the SCUs across the state, including the two in the Carbon County towns of Palmerton and Weatherly. At 99.5, Carbon County's cost of living is in line with the U.S. median of 100, with grocery and healthcare costs at 100 and 108, respectively. The housing index is very low at 76, so it might be advantageous for families to relocate to Carbon County to save money for seniors in an SCU. The climate in Carbon County is cold and wet with 49 inches of rain compared to the U.S. average of 39, and 39 inches of snow as opposed to only 26 inches nationally. January lows drop to 17 degrees, and summer highs only reach 82. The Sperling's Comfort Index for the county is 45, which is nine points below the U.S. average. Families should ask about precautions taken by prospective SCUs to safeguard residents from exposure to frigid conditions. The violent crime rate in Carbon County is 8 points higher than the U.S. average of 31.1 at 39.3, and the property crime rate is very near the national norm of 38.1 at 36.9. SCUs must have security measures in place to protect their patients from crime, which should allow families to worry less about the care their loved ones are receiving. Residents of Pennsylvania aged 60 and older benefit from the senior-friendly tax laws, including an exemption for retirement income, such as Social Security payments, retirement accounts, and pensions. The liberal tax statutes and a low sales tax may result in more money to spend for memory care. Memory Care costs in Carbon County start around $3,960 per month on average, while the nationwide average cost of memory care is $4,799 per month. It’s important to note that memory care rates in Carbon County and the surrounding suburbs can vary widely based on factors such as location, the level of care needed, apartment size and the types of amenities offered at each community. Carbon County and the surrounding area are home to numerous government agencies and non-profit organizations offering help for seniors searching for or currently residing in an assisted living community. These organizations can also provide assistance in a number of other eldercare services such as geriatric care management, elder law advice, estate planning, finding home care and health and wellness programs. To see a list of free memory care resources in Carbon County, please visit our Assisted Living in Pennsylvania page. 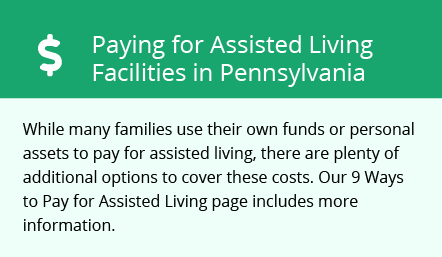 Carbon County-area assisted living communities must adhere to the comprehensive set of state laws and regulations that all assisted living communities in Pennsylvania are required to follow. Visit our Memory Care in Pennsylvania page for more information about these laws.